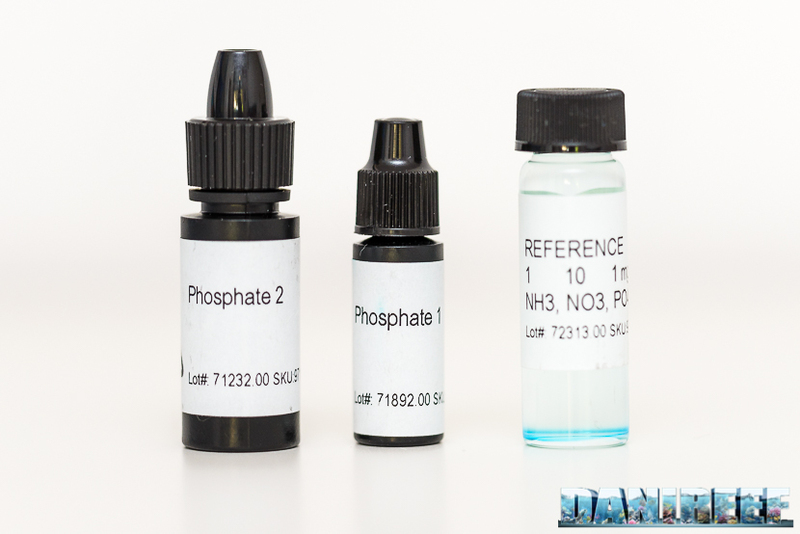 Testing for phosphates is very important in the aquarium environment. 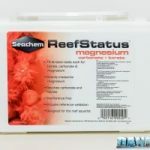 We have already reviewed ReefStatus Calcium and ReefStatus Magnesium tests, and the results were good; today we’ll take a look at the Seachemphosphate Multitest. 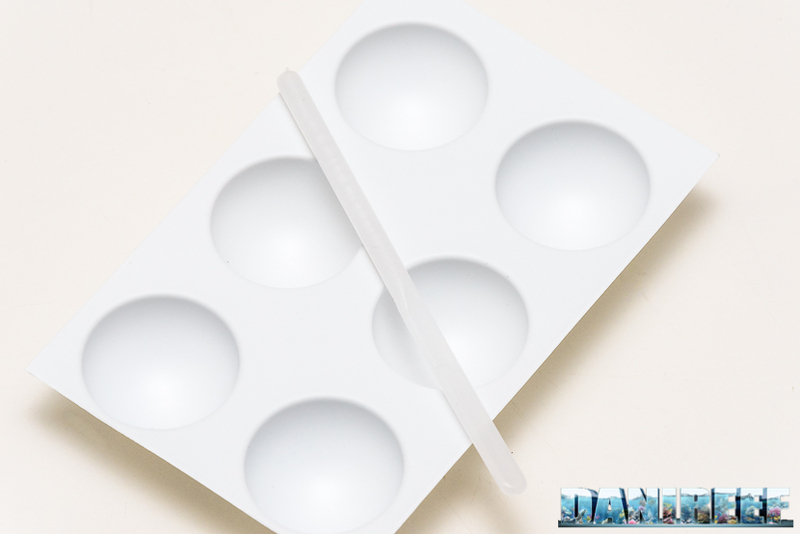 As you can see in the pictures, the test comes in a small box containing the directions, the cardboard, a plate with six empty hemispheres for the reagents, two bowls containing liquid reagents, a pipette, a plastic stick, and a solution as reference for the test. The scale test measures from a minimum of 0.05 mg/l up to a maximum of 3 mg/l. Corals need to be kept in aquariums with low phosphates; under 0.1 to get considerable growth, and under 0.3 to avoid calcification problems. 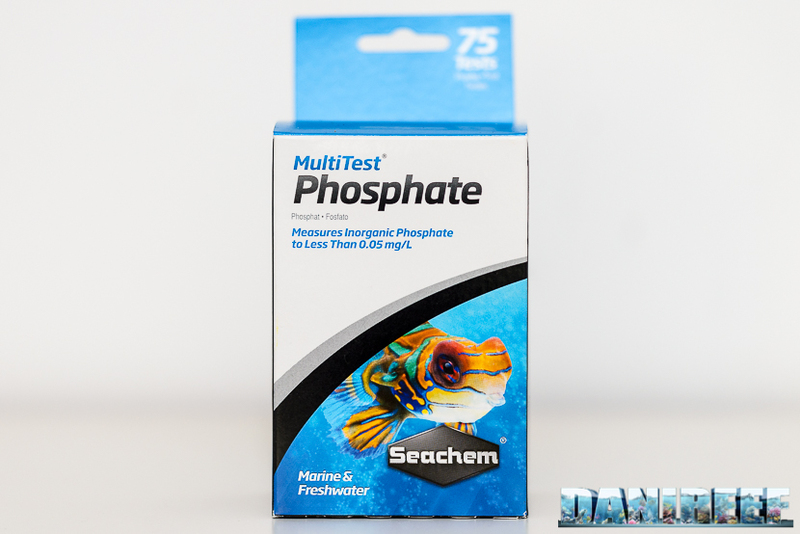 The SeachemPhosphate Multitest claims to measure both limits, though compared to other tests, it is less accurate for measuring the difference between 0.00 and 0.05. The test is very easy, though I found the plate to be strange, as well as the use of the pipette instead of a syringe to measure out the water. Fill the pipette with the aquarium water and put it on one of the six hemispheres of the plate. Add a drop of reagent number 1 and two drops of reagent number 2 to the water, then mix with the small stick. 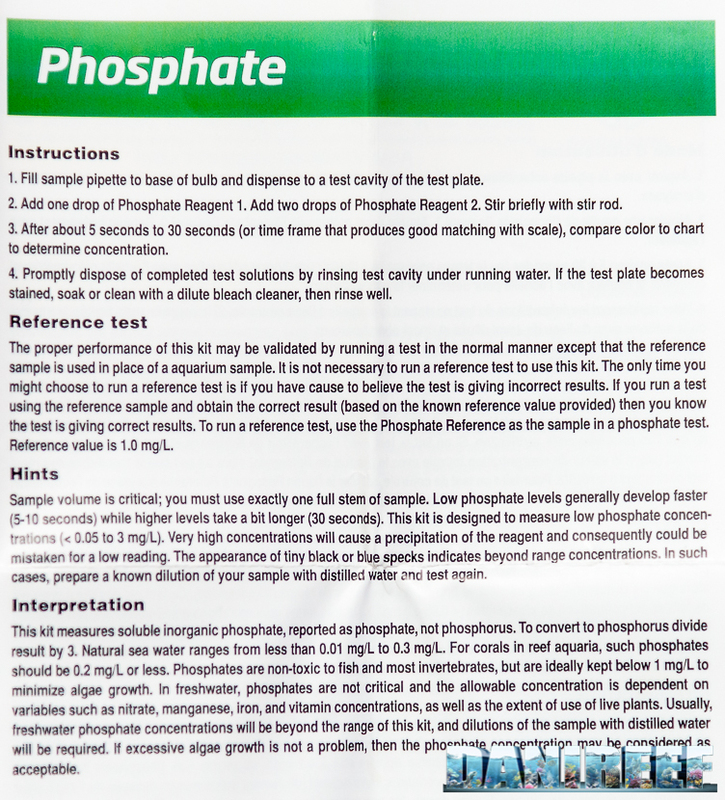 After some time, from 5 to 30 seconds, depending on the concentration of phosphates in the water (less time in cases of low concentration and more time if the concentration is higher), we compare the result to the rating scale. Once we did the test, we need to wash the plate. If the plate still has spots after washing, it’s best to clean it with bleach and then rinse it. The SeachemPhosphate Multitest is very easy to use, though again, I personally prefer to use a syringe instead of the pipette included. The use of a plate, though it adds something different among the variety of phosphate tests that all seem the same, makes the color comparison a bit hard. I would also like to have a bigger reference chart – the colored part of the cardboard for this test is very small. 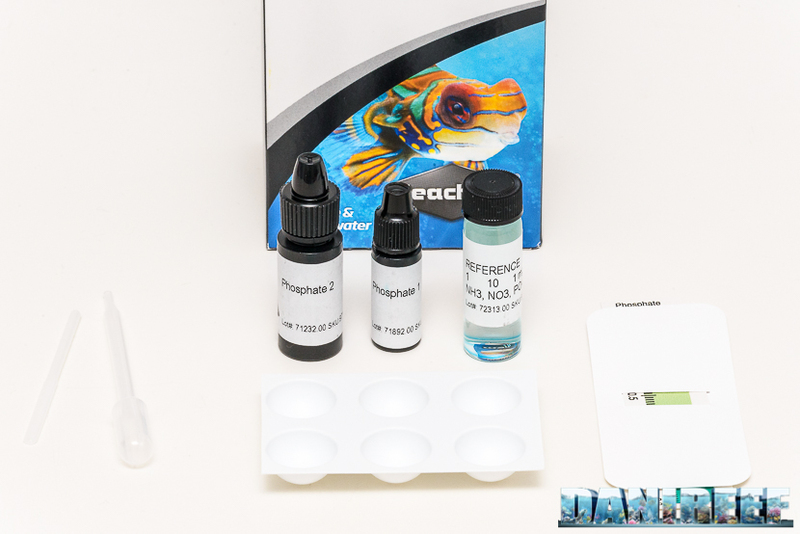 As with the other ReefStatus tests, this test doesn’t have a clear expiration date, but it does come with a known concentration solution (phosphates and nitrates), so you can see if the test is still accurate after any amount of time. We want to remind you that tests, even if they have enough solution for a high number of measurements, should generally not be used for more than 6 months from their first use, and incorrect storage can also offset the tests carried out; it is advisable to verify the accuracy of the measurements with the calibrated solution. 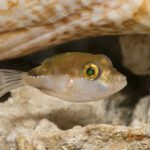 We advise you to always use your eye to evaluate the aquarium, do not rely only on the test, and if the test results seem strange, retest with another brand before making any big changes to the tank. For example, if you did not have growth in your aquarium, but had good colors, the phosphates in the aquarium are probably a bit too high. As you can see, the results were perfect. Although it is true that we are measuring a value close to zero and thus may be less representative than a higher value, I think the precision is on the threshold of perfection. Below are the instructions included with the test: All reagents are numbered with the lot number from which they come. 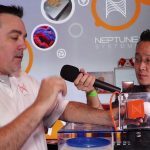 Potentially, the test could be used for over a year, though you would need to take a reading on the validation solution and then your aquarium, which would require extra time and use the test reagents up twice as fast.